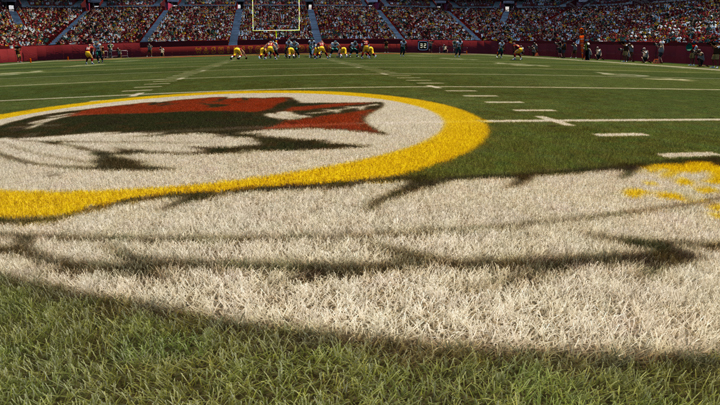 Here is a video of some of the stuff I worked on for madden 25. 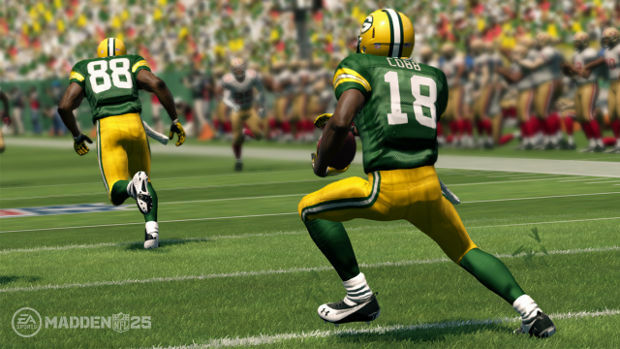 The first madden title for the XBox One and PS4. Mainly the grass and snow. Here is a video of a demo project I worked on to show some realtime destruction. I created a logo using illistrator for the Wah Lum Cultural center. It uses a lot of custom ink strokes to simulate brush calligraphy. I have started working on a new sculpt and rig for my animated manatee. Here is an early turntable render. I started experimenting with using maya paint effects to do some animated line drawings. It got close to what i wanted to try and create but It didnt have enough control. I then started work on my own system what would let me have more control over the line widths and other aspects. I created a punch of python scripts to generate the lines and shapes that i wanted. The Wah Lum Films logo I created. Here is a opening credits i created for Wah Lum Films. It can be seen on the Pui Chan Kung Fu Pioneer documentary. I finally got back around to working on the mantis again. This time with a more specific use in mind which helped to keep things moving along. I switched from zbrush to mudbox and so I lost some of the more detailed sculpting I had done on it. Here are a bunch of pictures of various points through out the process. Here is an early paint test to see if the UV layout would work. Here is the painting pose in mudbox. This pose made it easier to get at all of her body to paint. Mudbox is pretty is a great tool, besides sculpting it lets you paint on the model as well. Here is an example of using a stencil to paint on the model. Here are some early test renders of the initial paint job. The lighting is pretty simple but gives it a good look. The following pictures are from inside of maya. This one is the very start of the animation when she is still off camera getting ready to jump in. Here is the mantis’s skeleton. Her rear legs use Inverse Kinematics and her antenna are rigged as soft bodies to respond to the animation automatically. So they wiggle and wobble naturally as she moves about. This shows the wireframe of the mesh. She is pretty low resolution. I do add some subdivision surfaces before rendering but right now there are no displacement maps. Eventually I would like to sculpt her more adding a lot more detail to the mesh. I rendered her out to several layers and I was able to render her new antenna out in a later pass and then composite them back in. This saved a lot of time. The mantis and logo took around 4 hours to render for 200 frames or about 8 seconds of video. The antenna rendered in about 20 min. Here is the final render and composite with some basic color correction. You can check out some earlier versions of the animations here as well.